Steve Edwards: Now we’ve done some of the basics, now what we’re gonna do is he’s going to flop the stirrups around on each side. The reason he’s gonna flop the stirrups around is he wants to get the animal used to the stirrups moving as his legs are in it. Notice he’s doing it on each side, he’s also gonna reach over to the left hand side and move that other one, this way here, the colt gets used to the stirrups moving around just like your feet move around. Steve Edwards: He’s gonna take the tapadero, he’s gonna bump into his leg, watch him tapping into his leg. Remember this colt has had two months, did you hear that? Two months of foundation training, to where these things are not a bother. I want to get as much of this stuff out of the way now, so that the day we climb on, we want our rides short and quiet. Short and quiet. Okay? 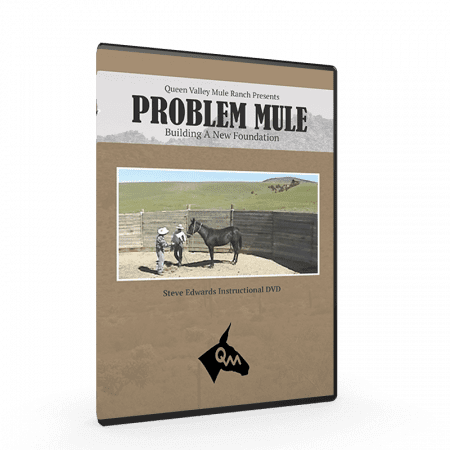 Steve Edwards: Now what Kenny’s gonna do now, we want to move the mule over a little bit, and he’s going to get a hold of the reigns and he’s just got to step up into the stirrup, on the right and on the left side. You’re going to see him first, he’s going to … are you going to do the right side first? Okay, let’s move you around here where people can see it. 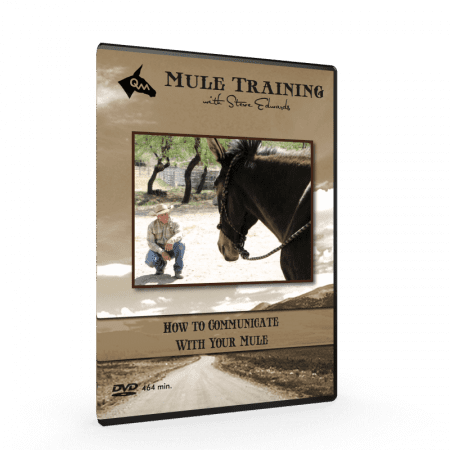 Now remember, this mule has never been set on before, so what he’s going to do, he’s going to shake the stirrup, shake the saddle so that the mule gets a foundation. Step into stirrup a little bit. See, just kind of up and down. I’m going to bump him a little bit and tell him I want him to stand still. So shake the saddle a lot. Shake it a lot so that his feet move. So that he stands still, there you go. That way he grabs a hold of the ground. Good. 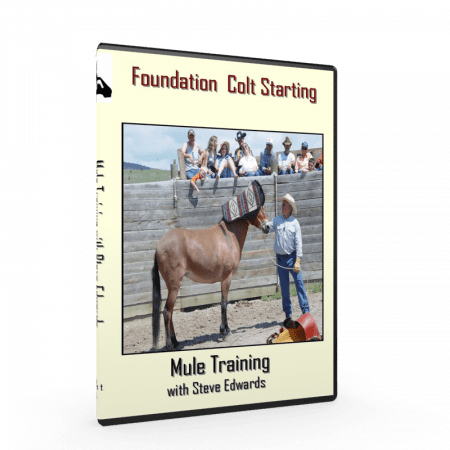 Steve Edwards: Now you’re to stand on the left hand side of the mule so that you’re able to catch him. See, the mule’s just kind of looking around. No big deal. Now Kenny needs to … there he put his body on him and got off on the other side. Good. You see this colt? He’s had a lot of things done to him, so it’s no big deal. Look at his ears. Nice and quiet. Messing around with the bit. I’m going to give him a little pet here. Give him a little scratch. Let him know that’s a good deal. Steve Edwards: Now Kenny’ll get off on the left hand side. He’ll tip the mule’s nose to the left so he sees him coming off, that left brain sees him. Notice Kenny’s watching the animal the whole time getting on and getting off. Notice, every time Kenny gets on, he watches that mule’s head. He tips the mule’s, mule’s, nose to the left to keep an eye on him. There, now tip the nose to the left, so at that brain keeps … yeah, there you go. Now that’s a little bit too much. There we go. Okay. All right. Steve Edwards: Now he’ll put his leg across him again. Notice the colt don’t care. This colt says, “Eh, no big deal. 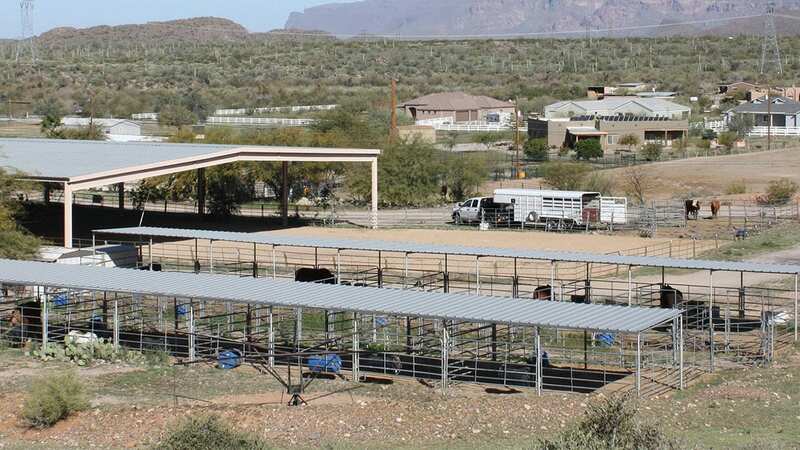 All the foundation work I’ve had …” and by the way, the foundation work that got done with this mule was done by one of my apprentices from England, and she had never done any training before in her life until now, and this is the end result.